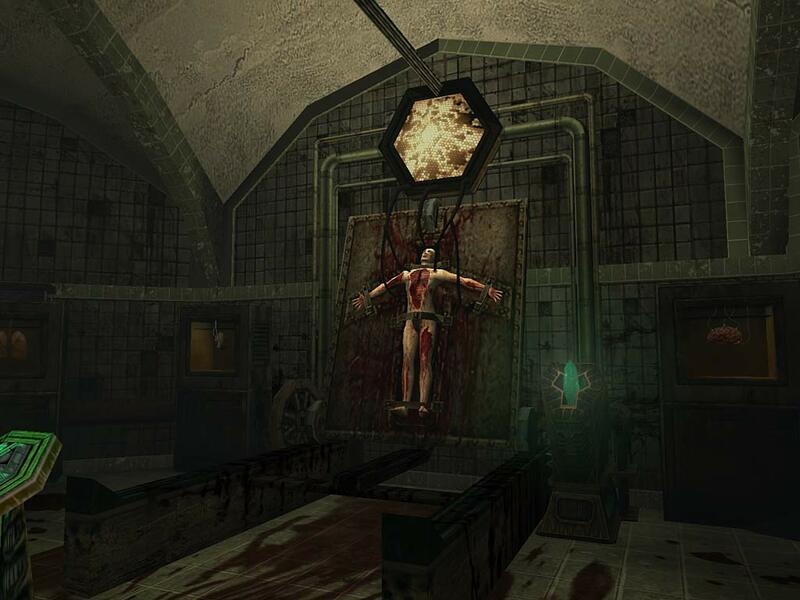 A few years ago, some writers of The Escapist newsroom had a chat about what makes a great horror game. After touching briefly on some favorite monsters, the conversation quickly turned to guns - or more specifically, whether guns should ever be included. Here's the basic argument: Guns make players feel powerful, but horror is about feeling powerless. Shooting and killing monsters means you're potentially stronger than them, which destroys any sense of fear moving forward. It certainly makes sense on the surface. 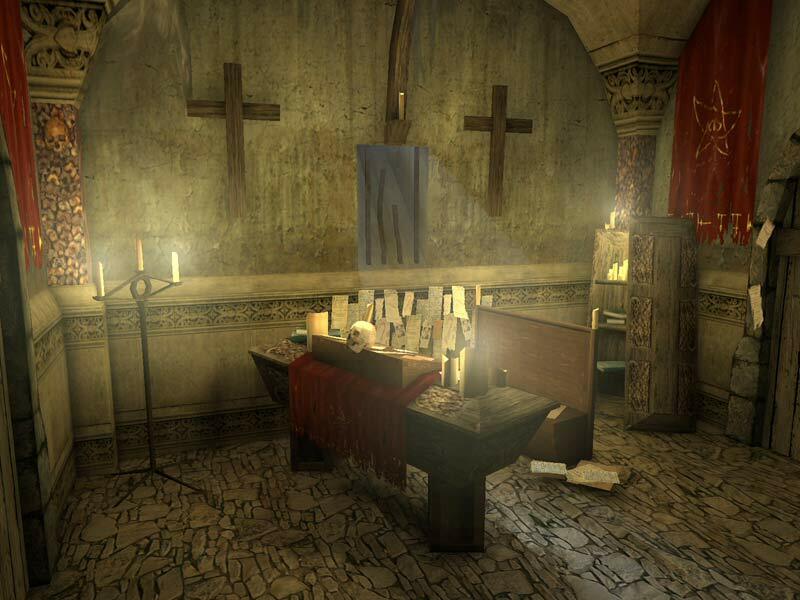 Survival horror made its comeback with Amnesia: The Dark Descent for a reason, quickly followed by Slender, Outlast, and Five Nights at Freddy's. Even gaming classics like Silent Hill and Resident Evil were scary because of limited ammo and shoddy controls - fear was rarely an issue when you were adequately prepared. But I can't fully embrace the argument, mostly because of Call of Cthulhu: Dark Corners of the Earth. 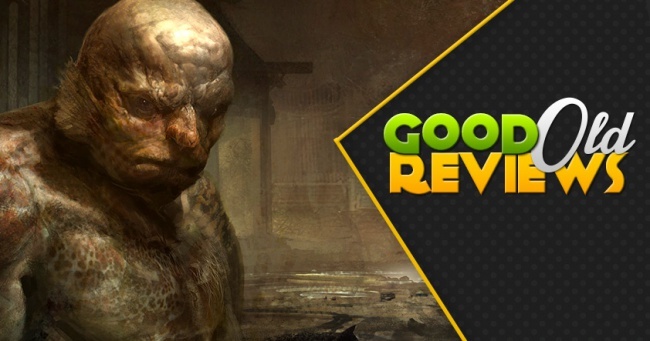 This game wonderfully captures a bleak Lovecraftian atmosphere that follows you at every turn. Sure, you spend roughly a third of the campaign without weapons - including melee options. But once you finally find guns, you're reluctant to use them for fear of attracting enemies to the noise. 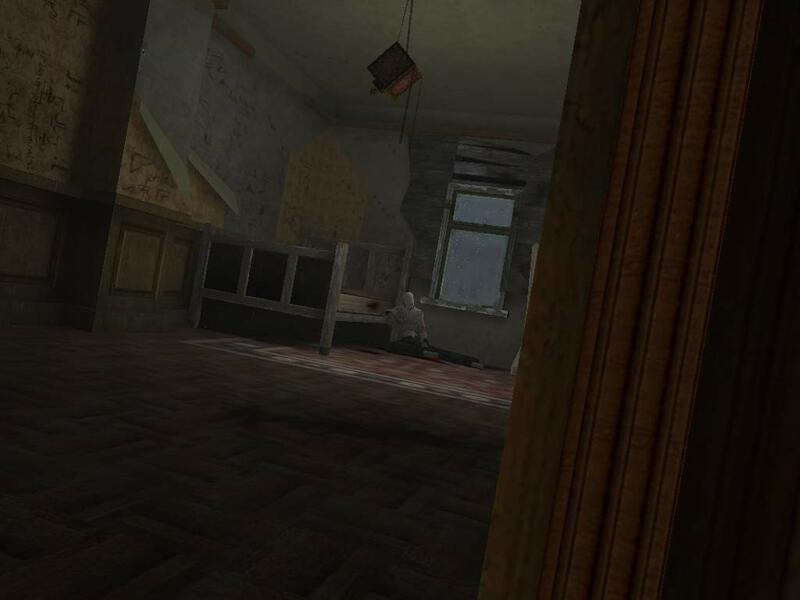 There's no HUD, so you're never quite sure how many bullets remain in your clip. Actual combat is still incredibly deadly, demolishing your health with a few lucky shots. And thanks to Call of Cthulhu's sanity system, having bullets at all is a major problem when you lose control and turn that weapon on yourself. Call of Cthulhu is the only game that's handed me an M1921 Thompson submachine gun - the epitome of badass Prohibition-era weapons - and left me feeling nervous about what I might have to use it on. If you want weapons in your horror game, Dark Corners of the Earth is proof you can be powerful and powerless at the same time. The year is 1922. You play as Jack Walters, a former police detective turned private investigator. Seven years ago, Jack experienced a traumatic event while investigating a Boston cult and lost half a decade to apparent insanity. Now he's digging into the Mythos once again as a missing person case leads him to Innsmouth. The investigation quickly reveals an occult conspiracy tied to the Esoteric Order of Dagon, bringing Jack into conflict with Innsmouth locals and the supernatural forces they protect. 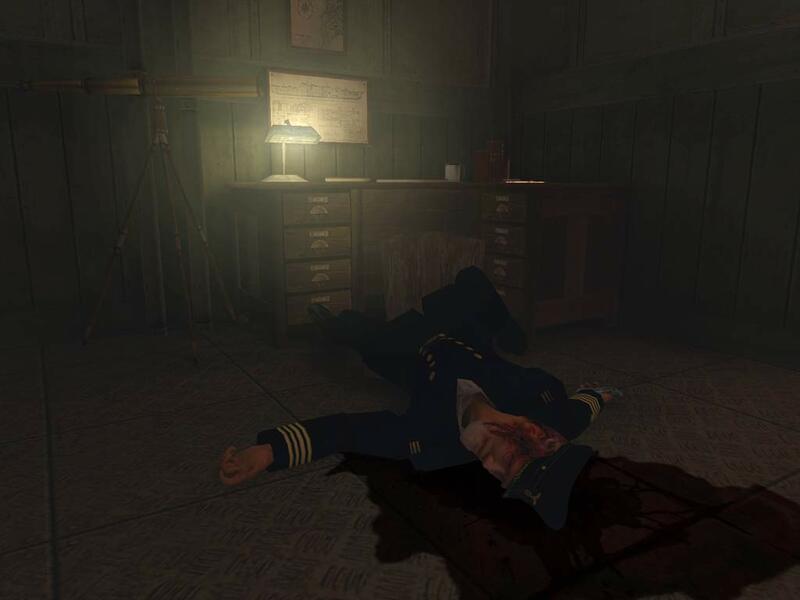 In many ways, Dark Corners of the Earth is an action-oriented remake of HP Lovecraft's The Shadow Over Innsmouth. You follow the same premise of a stranger becoming aware of the town's terrible secrets, merged with new details from Jack's past. Dark Corners also borrows most Innsmouth story beats, including the iconic hotel escape and street chase. 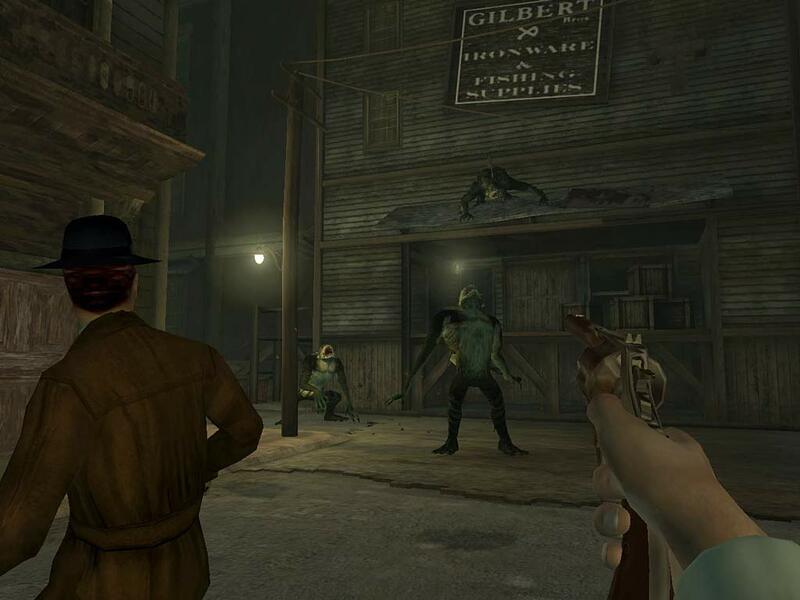 Later game chapters pick up where the novella left off, depicting the FBI's Innsmouth raid and a journey to Devil's Reef - important events referenced but never depicted in Lovecraft's writing. Yet even with the new content and action sequences, Dark Corners of the Earth is incredibly faithful to the Cthulhu Mythos. 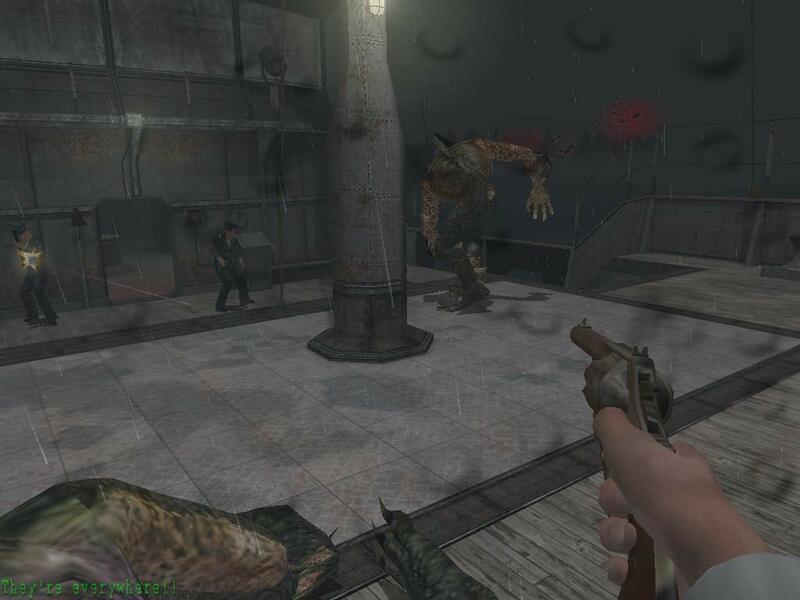 Every level embodies a bleakly oppressive atmosphere, especially during early chapters where Innsmouth citizens dismiss you without attacking you. Throwaway characters and locations from Innsmouth are casually slipped into the plot, like the Marsh family, the gold refinery, or the First National Grocery Store. Dark Corners even draws from the broader Mythos setting, incorporating Elder Signs, Cthulhu statues, the Yith, and a freaking Shoggoth into the story. It's crystal clear that Headfirst Productions did its research and translated everything it could into a video game format. The end result plays like something Lovecraft would have created if he wrote games instead of books and lived beyond the 1930s.